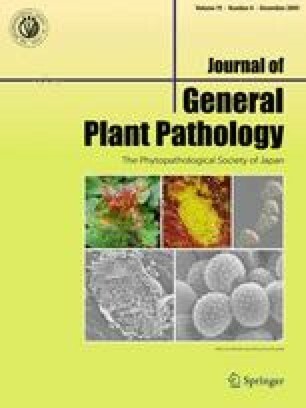 This article is an abstract of the paper presented by a winner of the Young Scientist Award at the 2009 Annual Meeting of the Phytopathological Society of Japan in Yamagata. I am grateful to Dr. Yasuyuki Kubo and Dr. Seiji Tsuge at Kyoto Prefectural University, and many others for their continuous support and helpful suggestions. I also express my thanks to Dr. Hisatoshi Kaku (currently, Sakata Seed Co.) and Dr. Hirokazu Ochiai at National Institute of Agrobiological Sciences, Dr. Takashi Oku at Prefectural University of Hiroshima, Dr. Kazunori Tsuno at Miyazaki University, and many others for their cooperation.